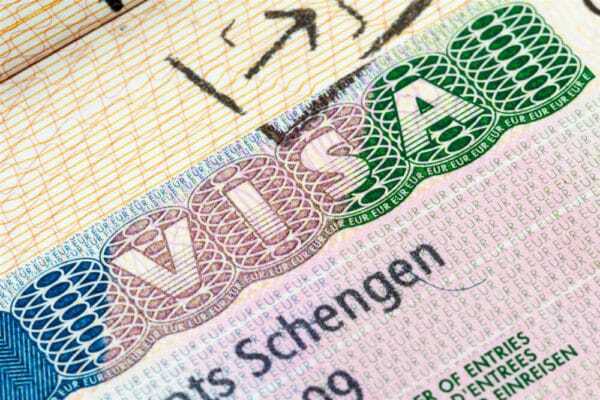 Considering the amount of information online about the new ETIAS policy, it is normal for travellers to confuse it with a Schengen Visa. However similar they may be, it is important to understand that, aside from targeting completely different nationalities they also have very distinct procedures and regulations. Another aspect to keep in mind is that an ETIAS will by no means substitute a Schengen Visa since those who usually need the latter to visit Europe will not be eligible for an ETIAS authorization. Because Canadian passport holders currently enjoy a visa-free policy to visit the Schengen Member States as tourists, they fit into the group of nationalities that will be eligible for an ETIAS when travelling to Europe as of 2021. Alternatively, if a Canadian citizen who holds a valid ETIAS will want to stay in the Schengen Area for longer than the 90-day period allowed, he/she will have to apply for an actual visa – in which case it is advisable to contact the consulate of the designated country. While a visa has a framework focused on a meticulous case-by-case analysis of the applicant’s profile (which is often pasted on his/her passport), a travel authorization works more like a background check to verify whether a given traveller presents any security, migration or public health risk to the country in question. An authorization is a process that allows governmental authorities to acquire information about future visitors and verify their identities hours or days before they arrive in the country. Hence, if a traveller has his/her entry denied by a border officer at a port of entry, he/she may be required to apply for an actual visa. Conversely, a visa goes through a more rigorous verification process so as to already do a full profile check before the traveller even leaves his/her home country. The Schengen Zone is a free-movement initiative founded in 1995 by the European Commission in order to promote intergovernmental relationship and create a territory free of borders for citizens of its Member States. This policy also applies to non-EU passport holders who have been granted an authorization to travel in Europe and can thus move freely within the Schengen territory without having their passport stamped. In total, the Schengen Area encompasses 26 countries, out of which 22 are considered full-members and 4 members of EFTA which have specific agreements. As a means to systematize travel for non-EU nationals, the Schengen Agreement has established the Schengen Visa, which comprises a list of countries that are required to go through an application process prior to visiting Europe. Alternatively, they have also created a visa-waiver system for nationals of more than 60 countries, who are able to travel to the Schengen Area without having to apply for a visa. – Category A: an airport-specific Transit Visa required for travellers flying from a non-Schengen country to another through one of the Member State’s airport. – Category B: a regular Transit Visa that grants the holder a permission to enter the Schengen Area for up to 5 days when transiting to a non-Schengen country. – Category C: the most common Schengen Visa, which allows the traveller to visit the Schengen Area for up to 3 months in every 6-month period, either as a single, double or multiple entry permit. They both concern the Schengen Area, allowing short-period travel in one (or more) of the 26 countries for the purpose of tourism only. They have the same regulation regarding the duration of stay in the Schengen Zone, granting the holder a permit to stay and transit for up to 3 months (90 days) in every 6-month-period (180 days) counting from the first entry. The very denomination of ETIAS (European Travel and Information Authorization System) already classifies it as an authorization rather than a visa. Once accepted, the ETIAS is valid for 3 years as a multiple entrance authorization, while the Schengen Visa has different durations. A Schengen Visa is processed on a case-by-case system and must be applied for at the national embassy or consulate of the Member State the person intends to travel to; whereas an ETIAS is automatic and fully-online. In most cases, the ETIAS only takes a few hours/days between submitting an application and receiving a response with an electronic authorization. Meanwhile, the Schengen Visa may involve processing documents manually, interviews and longer waiting periods as well as often being stamped on the passport. 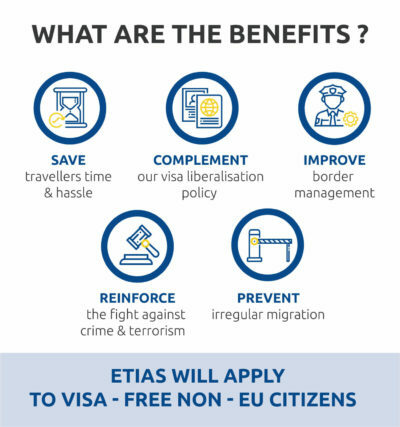 An ETIAS is an all-around authorization and all applicants are subjected to the same process, while the Schengen Visa features 3 distinct categories (A, B, and C) each involving particular processes, documents, and restrictions. ETIAS will apply to visa-free non-EU citizens.